Growing up, we always received a ton of candy and a toy or two in our Easter baskets. Receiving a ton of candy was always great, but the belly ache we ended up with was never fun for anyone. With my son’s milk allergy, I need to be a bit more creative because he won’t be receiving all of that chocolate in his Easter basket. My sister and I also received small toys in our baskets. When we were younger, it was typically a doll. As we got older, our gifts became a little more expensive for my mom, but she always surprised us with something. I really don’t want to give him too much candy, if any at all. While I don’t want to make Easter a second Christmas in our home, I do want to make sure I am filling his Easter basket with more usable and educational items rather than sugary goodness. These non-candy Easter basket ideas for toddlers are sure to please. 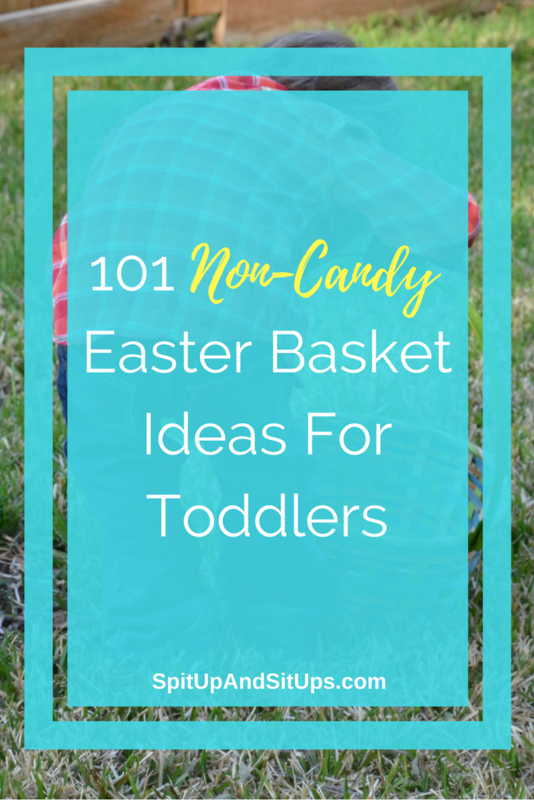 The little ones are not going to miss the candy that’s typically found in Easter baskets and will get much more use out of these items in the long run. Books: Like Happy Easter, Curious George and Happy Easter, Mouse! Electric Toothbrush – Getting an electric toothbrush has been a game changer in the world of teeth brushing. Stuffed animals, like this Jellycat Bunny! Character cutlery, like this Thomas the Train set I’ll be getting my son! 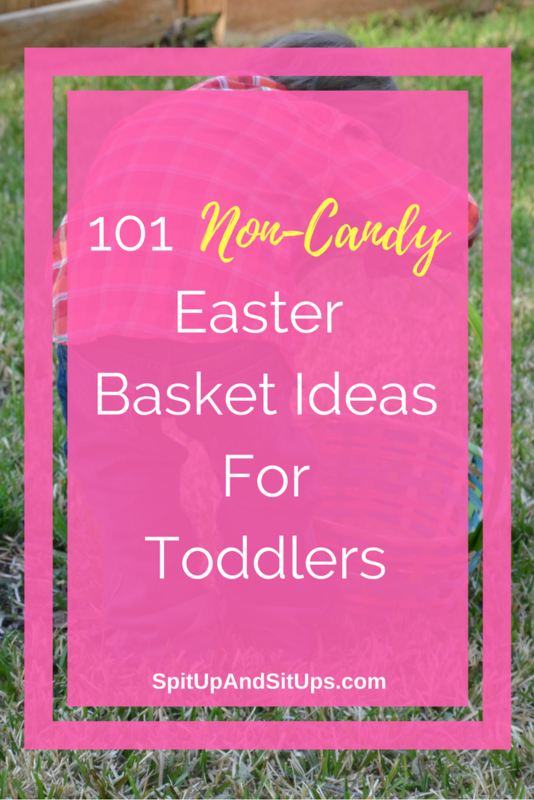 Do you give non-candy Easter baskets to your toddlers? 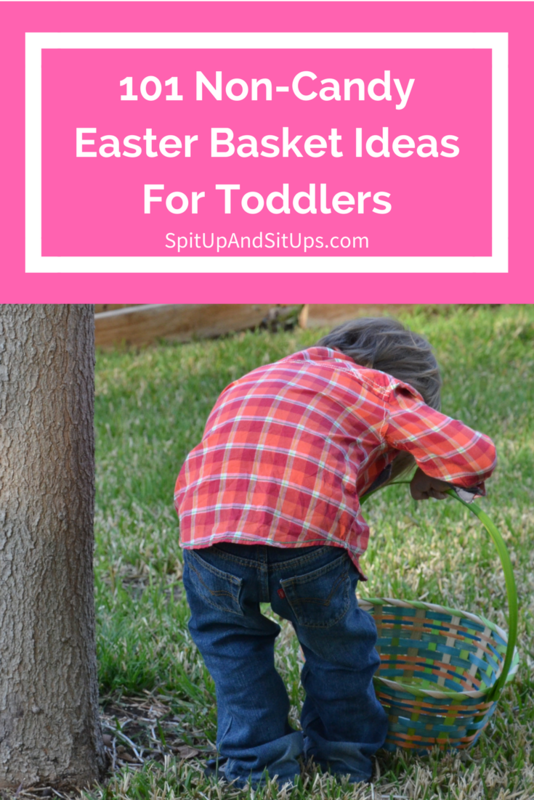 Let me know your toddler friendly Easter basket ideas in the comments! Such a great list, Ashley! I, too, try not to give candy too much at the holidays. We had the same problem growing up, so…much…candy! I’m having a hard time getting the grandparents to stop with all the candy still!